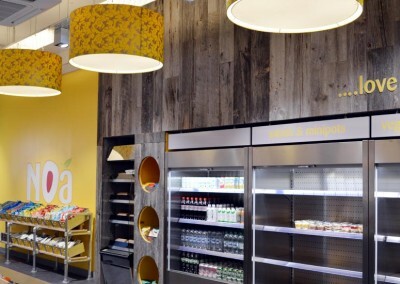 Noa is a fresh fast food retailer and restaurant based in London. 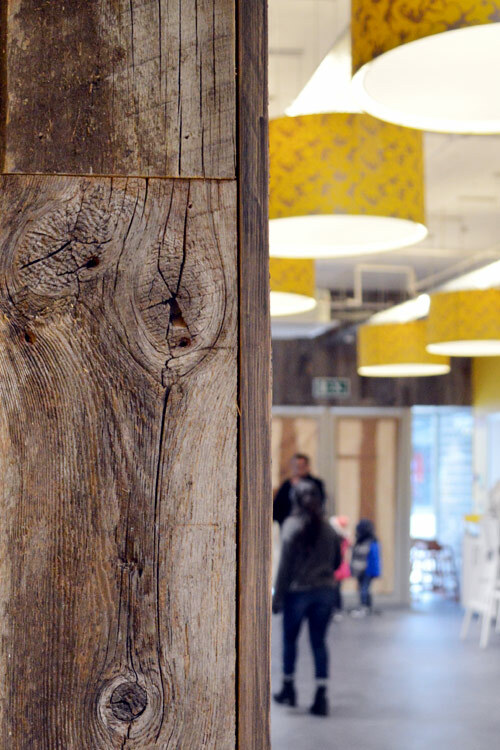 At Design CLD we worked closely with the client to produce feasibility studies for potential sites; develop the name; logo, interior design and supporting graphics. 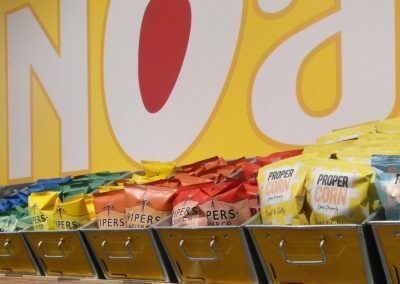 In fact we have advised on many aspects of the development of this new food retail brand. 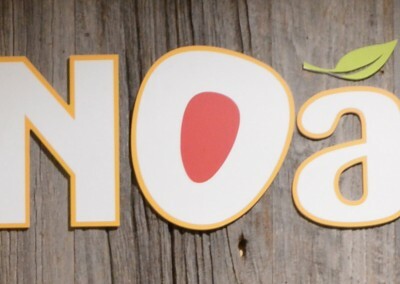 The name, Noa, was inspired by the vegetarian menu and evolved as a shortened form of the phrase “No animals”. 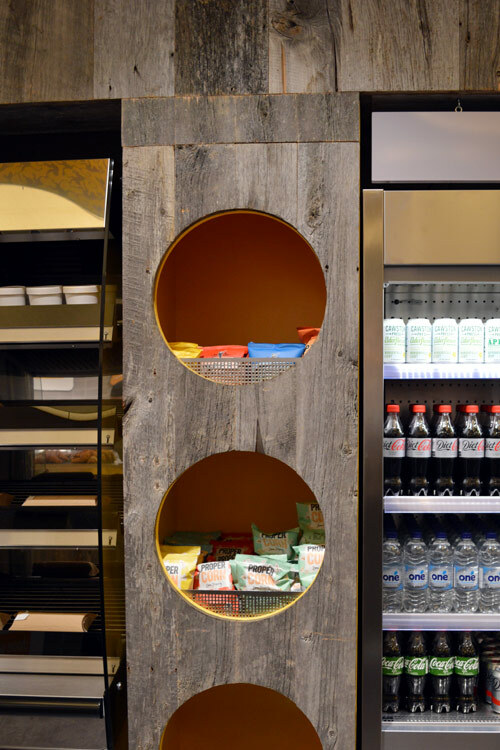 The menu takes the customer on a global journey and features freshly prepared dishes from every continent to take away or eat in. 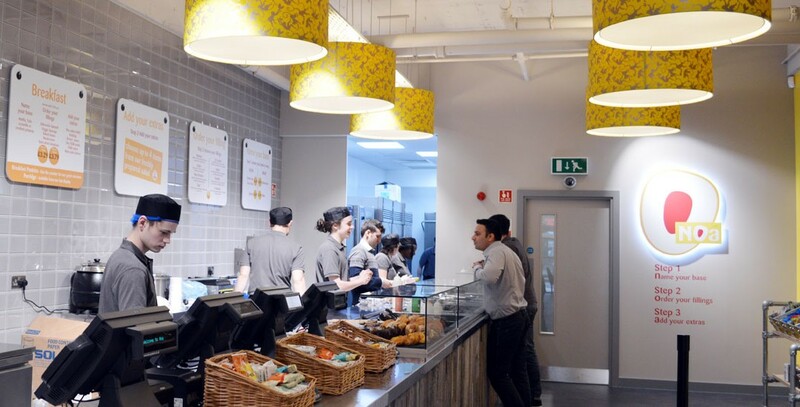 The food offer is supported with a great choice of tea and excellent coffee. 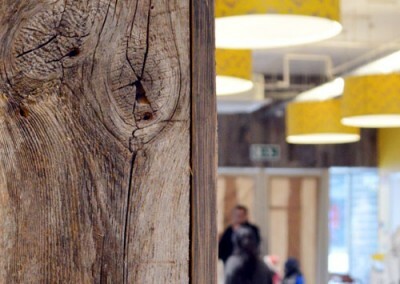 Our interior design scheme is warm, natural, fresh and colourful. 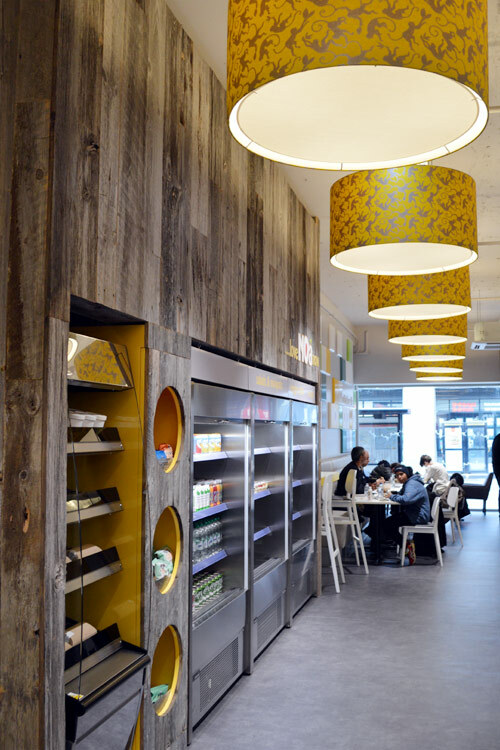 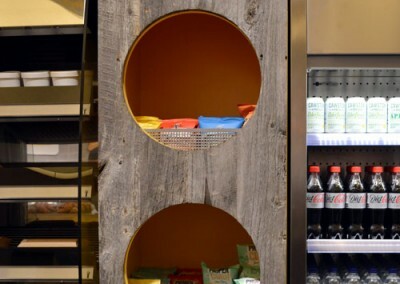 The reclaimed timber we’ve specified for the counter front and takeaway food displays underlines Noa’s credentials as an environmentally responsible retailer. 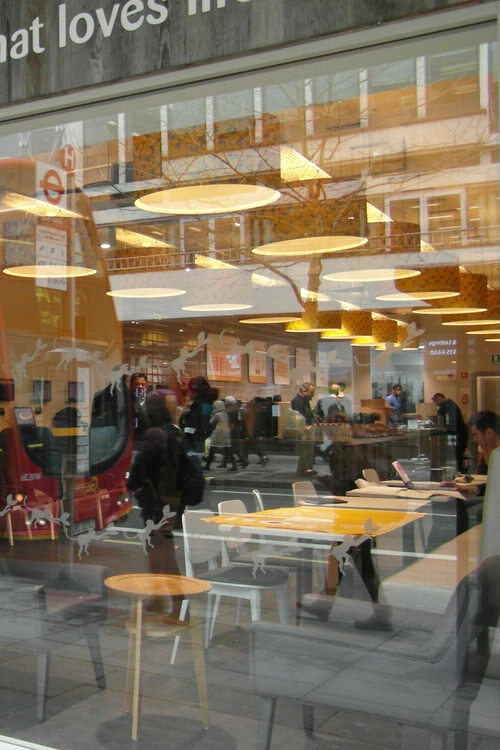 Design CLD have continued to advise the start up since their first outlet opened on London’s Baker Street in March 2016. 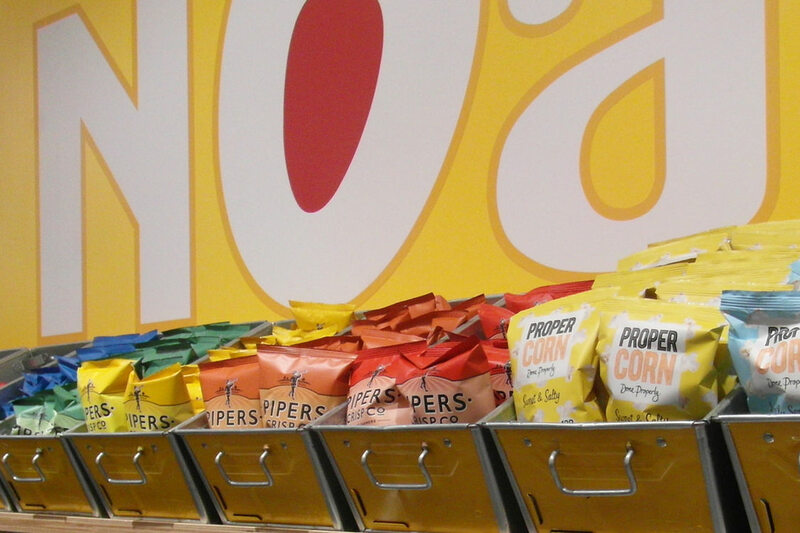 We’ve provided ongoing marketing support such as promotional graphics, packaging and additional signage. 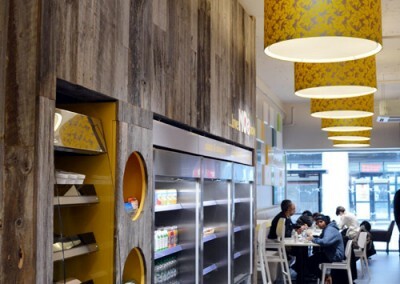 The design scheme features fresh colours and real wood finishes. 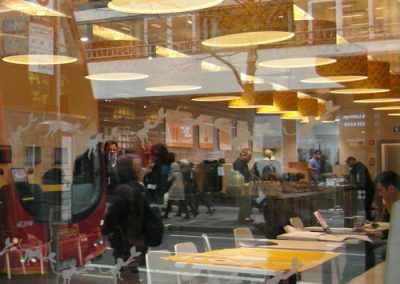 > Find out more about our expertise in café and coffee shop design.